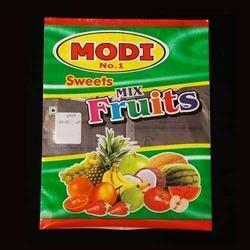 Offering you a complete choice of products which include 500 g printed laminated pouch, food packaging laminated pouch and sweet printed laminated pouch. 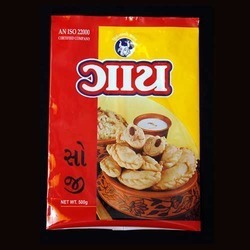 We are among the well-known firms, presenting an excellent quality range of 500 g Printed Laminated Pouch. The entire range of printed film is manufactured by optimum quality materials by our workforce keeping in mind the quality norms using finest material. Offered printed film is checked by quality controllers on various numerous parameters for delivering a flawless range. This printed film is available from us in numerous sizes to choose from. 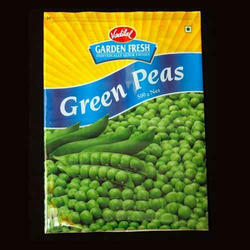 With an aim to stand tall on the expectations of our esteemed clients, we are providing Food Packaging Laminated Pouch. Our offered printed films are manufactured using the best grade material & modernized techniques in accordance with industry norms. Moreover, our offered printed films are highly praised by our customers for its unique features. We offer these printed films in numerous sizes at market leading prices. Being a highly effective, lean and fast-moving organization, we are highly instrumental in providing Sweet Printed Laminated Pouch. Our offered printed films are checked at our end so as to deliver a flawless range. These printed films can also be customized by our workforce as per the market need. Offered printed films are manufactured by using quality approved material and advanced techniques.